You blew it all up! 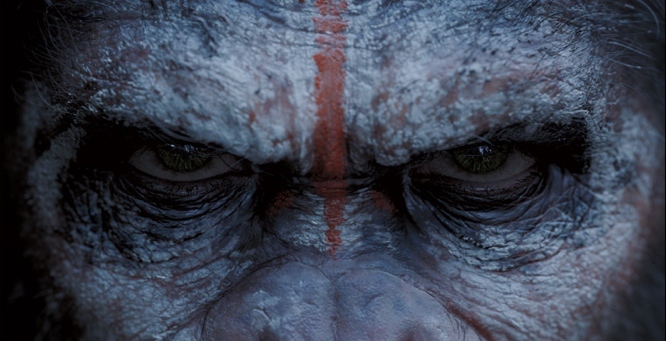 Nobody was ever expecting Rise of the Planet of the Apes to be good. But then it was good, which threw everybody off for a few months. Then news trickled in that a sequel, entitled Dawn of the Planet of the Apes was coming, and the filmmakers certainly weren’t monkeying around. RotPotA director Rupert Wyatt has decided not to return to the franchise, so Cloverfield and Let Me In director Matt Reeves is taking over. The film stars Gary Oldman, Andy Serkis, Jason Clarke and Keri Russell and is set for release on July 11th, 2014. For more Trailers, click here. If you’re digging ReelGood, sign up to our mailing list for exclusive content, early reviews and chances to win big!